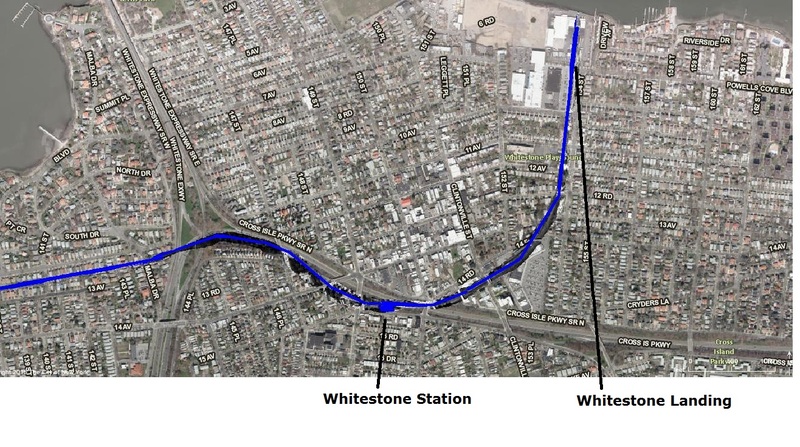 Trains began running on The LIRR Whitestone Branch in northern Queens in the late 1800’s. The line was in service until 1932 when the railroad shut it down. I traced out where it would lay on a current area map. I like the line traced out on a map because you can see where the branch stands with regard to today’s landscape . It’s hard to imagine train tracks in most of these locations, and yet they were there less than 85 years ago. 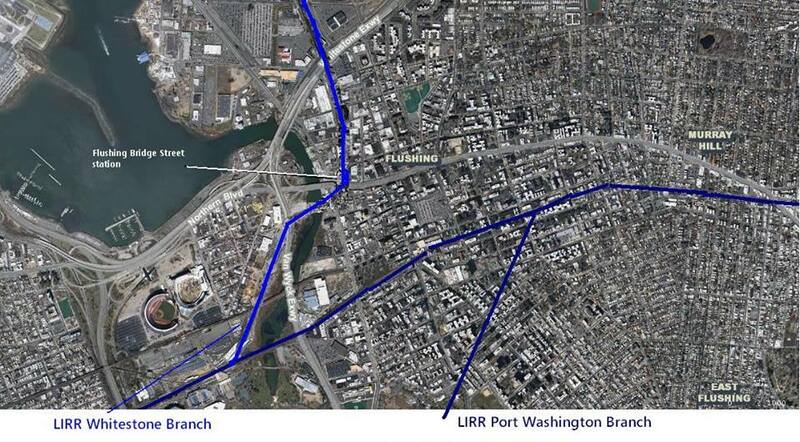 The line started out as it forked off the Port Washington branch just west of the Flushing River. This is just past where Citi Field now stands. The first station was Flushing Bridge Street, which stood on the north side of Northern Boulevard. The road was originally called Bridge Street, thus giving it the name of the station. The line turned north as it made its way towards the College Point Station. After College Point it turned east towards the Malba and Whitestone stations. The line ended at the Whitestone Landing station at the East River. The branch was initially built in the hopes that it would one day go north to The Bronx and to Westchester. The plans never fully materialized. 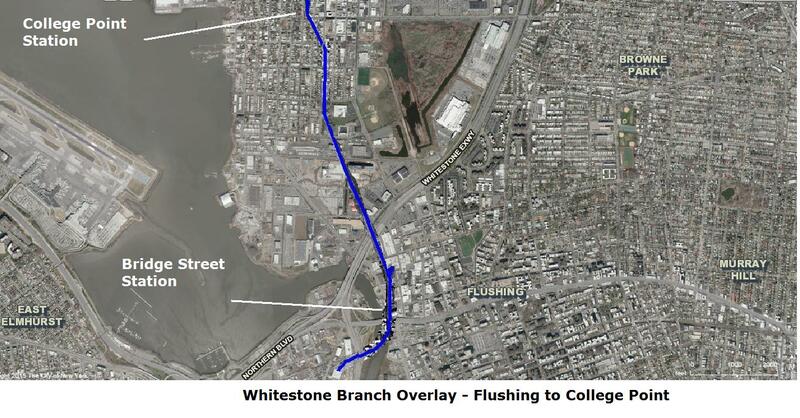 It is amazing to think that Whitestone had its own LIRR branch for more than 50 years and it wasn’t that long ago. they could easily have it go over the bridge… hmmm… did Moses have anything to do with it? Many projects for the railroad in the late 1800’s were high on promises and low on resources to follow through on them. I am not sure how they thought they could put a track across the East River but it doesn’t sound like anything easy. The line shut down a few years before Moses got started in earnest on the Whitestone Bridge, although yes he certainly wouldn’t have allowed any rail lines to go across it or any of his other bridges, which wouldn’t have been that difficult to facilitate. Moses had nothing to do with it. After the Hellgate bridge was built there was simply no need for a parallel crossing. I’m with Todd here, it was just overly ambitions from the start. I take a look back at things and places past. LI &NYC Places No More. Where Was Sonny Corleone Killed and Where Was It Shot?